FSPCA Preventive Controls for Human Food Class in December - Early Bird Ends TOMORROW! 1-4 Attendees Early Bird Ends Oct 30th - Save $60 per attendee – $790.00 (USD) Registration is for 1 attendee, addtional guests/attendess can be added during the registration process. 5+ Attendees Early Bird Ends Oct 30- Save $110 per attendee – $740.00 (USD) Early Bird discount for 5+ only available for attendees from same company. Internal and External GFSI Audit Workshop on November 10th - Register Now! Registration closes on November 4th. This registration is for 1-4 attendees. If you have 5 or more please select 5+ registration. Registration closes on November 4th. This registration is for 5 or more attendees only. Savings based on single attendee registration.  This workshop has been designed by MSc. Oscar Camacho with more than 28 years of experience managing Food Safety and Quality Systems in the food industry, and based on the weaknesses found with his customers while providing auditing and consulting services. FDA issued revisions to the Manufactured Food Regulatory Program Standards (MFRPS), which are food safety standards for state regulatory programs that oversee facilities that manufacture, process, pack or hold foods. Updates have been made to the standards, along with newly defined terms, and new sections and appendices. Currently 43 state programs are enrolled in MFRPS, which aims to provide an integrated national risk-based food safety system. Ten standards make up the regulatory program standards; elements include program’s regulatory foundation, staff training, inspection, quality assurance, food defense preparedness and response, foodborne illness and incident investigation, enforcement, education and outreach, resource management, laboratory resources, and program assessment, according to FDA. “The MFRPS establish a uniform basis for measuring and improving the performance of prevention, intervention, and response activities of manufactured food regulatory programs in the United States,” according to an agency release. The MFRPS promotes stronger partnerships between FDA and state programs, offering dedicated staff to work with program staff, provides opportunities to apply for funding to assist in implementation efforts, offers tools to help companies build a quality management system in order to measure and enhance performance and accountability, and aims to promote internal program consistency. The 118-page document is available for download on FDA’s website. September 19, 2016 is a date that many of you probably had circled on your calendars. It marked the first date in which many food processing companies had to be in compliance with the FSMA preventive controls final rule. It’s okay if you’re still revising your food safety plan. The regulations are so sweeping that some companies are still struggling to figure out if their plans are in compliance. At the heart of this law is a change in the philosophy of how we deal with contamination. Now, the focus is on preventing contamination rather than responding to it after it occurs. This proactive approach to safety must be kept in mind when discussing how food safety plan requirements have changed. 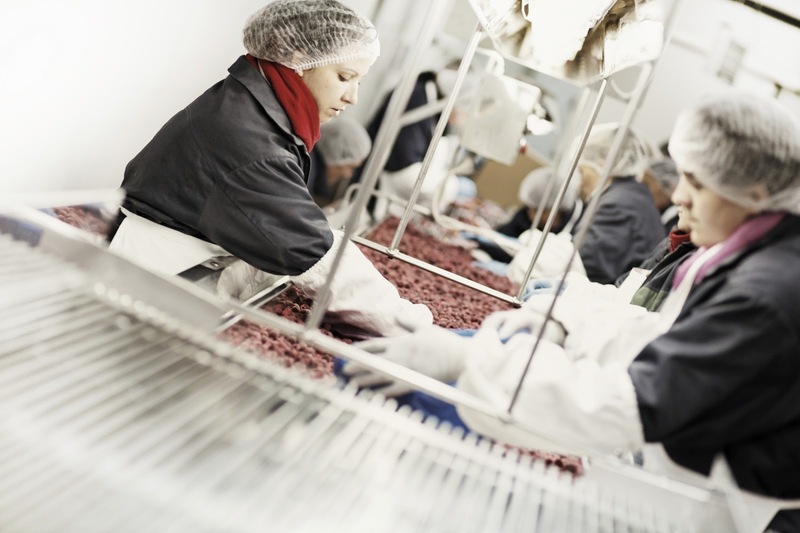 For many food manufacturing facilities, it means a change from HACCP to HARPC. 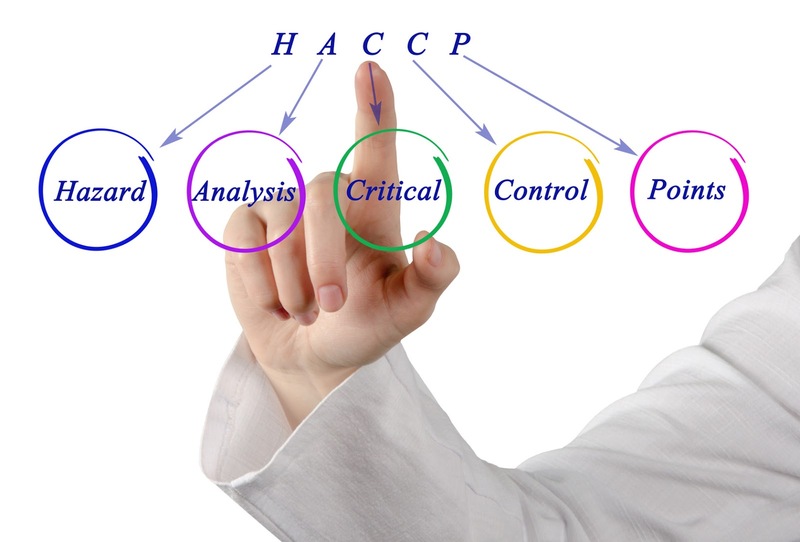 Hazard Analysis and Critical Control Points, or HACCP, should be more familiar to you. First developed in the late 1950s and early 1960s to provide safe food for astronauts in the U.S. space program, HACCP became the global standard for food safety in the 1980s, as large, multinational companies sought to ensure that their supply chains were safe. HACCP evolved over the years into an effective, efficient and comprehensive food safety management approach. The system addresses food safety through the analysis and control of biological, chemical and physical hazards from raw material production, procurement and handling, to manufacturing, distribution and consumption of the finished product. 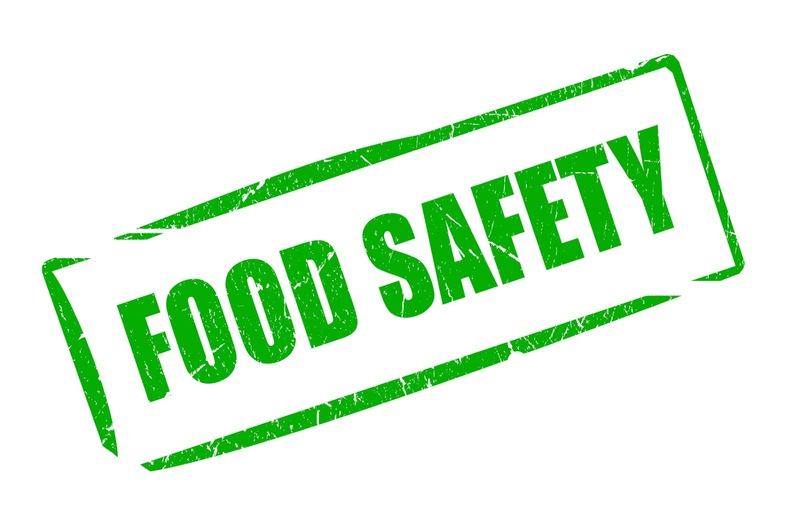 Following the passage of FSMA, the FDA instituted a new set of food safety standards, known as Hazard Analysis and Risk Based Preventive Controls (HARPC). HARPC shouldn’t be seen as a replacement of HACCP standards. Rather, it’s an evolution of them. The following are some key changes. You Must Anticipate Potential Hazards. One of the big changes in moving to HARPC standards is that your food safety plan must identify any and all reasonably foreseeable food safety hazards and include risk-based preventive controls for them. This moves beyond HACCP’s critical control points and asks that food processors look at how to minimize risk from the second food enters their facility to the second it ships out. You should review the potential hazards—both seen and unseen—that could impact your facility to determine the risks that you should analyze for your plan. HARPC Applies to Almost All Food Processing Facilities. The HACCP standards generally did not apply to all food processors. HARPC, however, covers many more U.S. processors. There are six major exceptions, however. Do these changes mean that your existing food safety plan needs to be scrapped? Not at all. An existing HACCP plan can be modified with the help of a Preventive Control Qualified Individual (another new requirement) to comply with HARPC guidelines. This person needs to be intimately familiar with potential hazards and the risk-based preventive controls for them. This may sound daunting at first, but moving to HARPC from HACCP will be an easier shift than starting from scratch. The key adjustments that you would need to focus on include identifying risk-based preventive controls for the hazards previously mentioned. Just remember, these hazards should be expanded to include both naturally occurring and unintentionally introduced hazards. How Does Integrated Pest Management Fit into a Food Safety Plan? Much like HARPC, Integrated Pest Management (IPM) focuses on being proactive. It emphasizes prevention, focusing on facility maintenance and sanitation, before considering chemical options for pest management. An IPM plan is benchmarked with regular monitoring and analysis of effectiveness. This may seem cumbersome, but one shouldn’t overlook the value of documentation as a management tool. Collecting data and putting it in context with detailed analysis can be an effective way to prioritize your pest control efforts. Detailed analysis accounts for things such as normal seasonal cycles, deficiencies in maintenance, exclusion, sanitation and harborages, just to name a few. This analysis can also help improve pest control efforts by prioritizing areas needing attention, especially when your staff is limited by time or resources. Integrating IPM into your HARPC plan should include analyzing the risks of what could encourage pests to enter your facility, such as doors left open or incoming product shipments. Consider your pest control provider an expert source in how to assess all risks associated with pests and how to establish preventive controls for them. Despite preventative efforts, unexpected pests will be inevitable. More emphasis will be placed on establishing action thresholds for different pests. This can be a problematic topic, because there are not scientific or broadly accepted threshold values for food processing pests. Every facility, and often zones within facilities, will likely be different. Identify logical zones—ingredients, processing, packaging and warehousing—and sensible threshold values for each key pest in these zones. Furthermore, establish what the appropriate response should be at certain thresholds. The escalating responses to different levels of pest activity often include things such as automatic authority for certain limited types of pesticide application, more intensive monitoring and inspection, and, of course, higher management notifications, which might lead to more extensive measures. IPM plans should be reviewed on an annual basis to ensure your program remains as effective as possible. Written food safety plans that follow the HARPC approach and comply with the FSMA rule should be reanalyzed whenever there is a significant change at the facility that might increase a known hazard or introduce a new one. Review the plan at least every three years, if no significant changes occur. Even if your facility’s deadline for compliance with HARPC standards is a year or two away, now is the time to take a look at your plan and make sure you’re in compliance. Registration closes on November 4th. This registration is for up to 4 people, if 5 or more attending please select 5+ registration. Registration closes on November 4th. This registration is for 5 attendees or more only. Savings based on single attendee non-early bird price. My client, a leader in innovative rail friction management, was recently preparing for an integrated ISO 14001/OHSAS 18001 audit and I was asked to provide onsite training to prepare their employees. The company and its staff are well versed in audits, having been registered under ISO 9001 for several years. In addition to the required EHS awareness training, I was also asked to provide my thoughts on what to expect during the upcoming audit. As a certification auditor, I have noticed companies that experience a smooth audit tend to approach audits with a different mentality than those that have a less than ideal experience. I’m not just talking about whether or not a company achieves certification, but rather what it ends up with in terms of meaningful results that actually help improve its management system. It’s evident to an experienced auditor when a company owns its management system. Findings are not feared, nor are they accepted as gospel, they are seen as an opening to a meaningful and sometimes even lively, but productive discussion. The ability to welcome these discussions comes from the company’s level of confidence, which in turn is a byproduct of a) having a good management system, and b) knowing what to expect during an audit. The former is something Newhelm is dedicated to helping our clients achieve every day, the latter can generally be obtained by understanding the following five points. This is one of the basic principals of management systems auditing. Most auditors will typically mention this during the opening meeting as it’s a good way to put the client’s mind at ease. 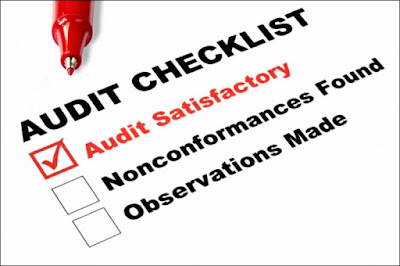 The objective for the auditor is to gather enough evidence to support a recommendation for certification, while making you aware of any nonconforming situations as they arise. Of course, any nonconformities will need to be addressed as required by the Certification Body. The point of this concept, however, is to establish the right attitude of the auditors and auditees heading into the audit. Note the difference between conformity/nonconformity and compliance/noncompliance. The language of conformity is specific to a company’s performance against a set of standards to which they are being audited, while the language of compliance is specific to a company’s adherence to regulatory requirements. While it is important for auditors to notify you when they believe you may be noncompliant with a legal requirement, the primary objective of the auditor is to determine the level of conformity of your management system to the standard. The auditor may still issue a nonconformity in this situation, however, the nonconformity should be written against the standard. I have seen companies pursuing certification for the first time implementing an out-of-the-box management system, with an emphasis on making it easy to audit, at the expense of their own efficiency and sanity. Companies who have been certified for a longer period of time often express frustration with each new auditor coming into their facility trying to get them to do things a little differently. In either case, it is important to remember what the point of establishing the management system was in the first place (and please don’t say “to get certified”). Your management system was established to help you continually improve, for the benefit of your company, employees, customers and stakeholders, not the auditor. The auditor is there to provide independent verification that continual improvement is actually taking place. I once had a client say, “we have two management systems, one for when the auditor is here and one for when they leave.” If you find your company drifting towards this path, you need to really evaluate what it is you’re doing for the sake of the audit versus good business practice. In my opinion, there is nothing in any noteworthy management system standard that would require you to implement sub-optimal business practice just for the sake of becoming certified. Remember, it’s your company and your process, don’t be afraid to get a little “mother bear” once in a while. What training do you need to do that? On a bad day, what could go wrong around here that could hurt you, the environment, equipment or product? What prevents this from happening? How do you know if those controls are actually working? Do you record that information anywhere and do you have to report it to anyone? Does your company have a policy (Quality, Environmental, OHS)? What sort of things is your company trying to improve? Are any of these “improvements” working? A perfect audit should be like throwing a no-hitter in major league baseball. Companies that strive for perfect audits, perhaps going as far as penalizing employees for findings, are missing the point of audits. Rather than trying to get through the audit without any findings, open yourselves to receiving good, value-adding findings. Aside from obtaining a certificate, perhaps a requirement of a key customer or the trigger for a year-end bonus, audits are an important feedback mechanism for your management system. 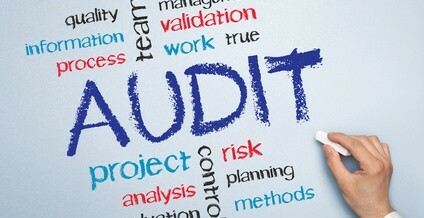 Auditors get to see a lot of companies of various size, from a wide range of industries, and while they can’t consult during the audit, observations are made from a unique vantage point with the intention of improving your management system. Auditors have been know to throw out some pretty cheesy findings, like “your paper towel dispenses paper at a much faster rate in one bathroom than in the other”. I know I’ve lobbed a stinker or two at a client in the past, although nothing relating to paper towel dispensers. Whether good or bad, It’s important to think of findings as the beginning of a discussion. Your will want to make sure you understand everything about the finding so you can identify the root cause, or offer additional information to support your objection if you disagree with the auditor. You should note however, the objection of “this has never been raised as an issue in the past”, is not a good objection to a finding. Auditing is a sampling process and despite the standardization of the audit process (ISO 19011), different auditors may focus on different areas of your management system depending on their background. In the event you can’t come to an agreement during the audit, keep calm and carry on, you always have other channels to raise your objection. You can appeal to the Certification Body, and failing that, you can appeal to the Standard owner, or in the case of ISO, the National Member Body (e.g. ANAB in USA and SCC in Canada). Many companies aren’t aware of the latter option, but I have used it on behalf of a client to get clarity for both my client and the Certification Body on a particularly grey area of a standard. The National Member Body has direct influence over your Certification Body so their decision will have an impact. You might be surprised how often I get questioned by employees about the purpose of the auditor being on site. Some employees think its a “regulatory thing”, while others suspect it has something to do with evaluating employee productivity. As a result of this confusion, there’s always a few employees that seem somewhat apprehensive about participating in the audit and may even get defensive with the auditor. Prior to your auditor coming onsite, take the opportunity to explain to your employees why the audit is taking place and that the auditor has been retained by the company to help identify ways to improve the management system and hopefully recommend certification. Highlight that the audit is process-focussed, not people-focused, and that your employees’ participation as process experts will help ensure the auditor gets a the most complete and accurate view of the organization during their limited time onsite. It’s also a good idea to briefly remind employees of this when introducing the auditor to employees during interviews. You’ve invested a considerable amount of time, you’ve even hired an expert to help get your management system up and running. Your internal audits have produced a whack of meaningful observations and findings, which you know you’ve dealt with and you can already see the improvements. You and your employees are ready for the audit. So take a moment to regroup with your team to set the right expectations and get into the auditing mood. Challenge yourselves to expect more from the audit than just a certificate. Write down these expectations and certainly don’t hesitate to share them with your auditor. Finally, after the audit, take a moment to debrief and to reflect back on the expectations you’ve established, adjust as necessary, and move forward. Will Huggett works with organizations to develop, implement and certify management systems that deliver Exceptional Environmental Performance. Implementing SQF, SQF Code, 7.2 Edition November Class - Early Bird Registration Ends Today! Internal and External GFSI Audit Workshop on November 10th - Early Bird Registration Ends Today! This registration is for 1-4 attendees. If you have 5 or more please select 5+ registration. This registration is for 5 or more attendees only. Savings based on single attendee after early bird time period. Training methods that worked in the past may no longer resonate with today’s food workers. Employee training continues to be a hot topic as companies in the food industry gear up for FSMA compliance. Many are working with a much leaner staff and have several different generations of employees, many of whom absorb information in very different ways. Food Safety Tech: Where are the gaps in how food companies conduct employee education and training today? Laura Nelson: It can be summarized in three areas. 1. Recognizing that the legacy training programs that food companies have is not effective. Companies are acknowledging that their historical training programs are not entirely effective in driving consistent behaviors. In [a recent] global food safety training [survey], we asked: “Despite our efforts in food safety classroom training, we still have employees not following our food safety program on the plant floor”. Over 60% said they agreed—yes, we still have employees not following our food safety programs. The survey involved 1200+ food safety professionals, so that’s a large number of folks acknowledging that their food safety training programs—largely classroom training—is not delivering the desired results and reducing inherent food safety risks. There are so many things challenging the food industry and everyone is trying to manage these expanding expectations with their lean teams. The industry is changing dramatically—[from the perspective of] employee demographics, the business itself, pervasiveness of social media and exposure that it brings, and the different regulations—so a static food safety program established two, five or ten plus years ago is not going to address these changes. But who has the time and resources to continually update content, embrace technology and apply the latest behavioral science to the instructional design of new training content? Because of the lack of resources and time challenges, many in the industry are still trying to operate on their legacy training program. It might be old DVDs, PowerPoints, etc. —trainers are covering food safety, workplace safety and operational topics via PowerPoints in all-day sessions, sending around a sign-up sheet and ticking off their training compliance checkbox. Training has to be improved and enhanced for many key reasons—whether it’s considering different cultures, updating languages, engaging millennials or focusing on those critical employee behaviors that present a risk to an individual operation. 2. Understanding that training expands beyond the classroom. The industry as a whole continues to think that classroom training is their training program and that once the classroom training is complete and [the employee is] on the operations floor, that the training and education job is done. The reality is, it’s not. There’s lots more training happening beyond the classroom. Understanding that we need to formalize the extension of the classroom training and manage the ‘plant floor’ training aspect is really important. The industry is starting to embrace this [concept]. Anywhere from formal coaching and mentoring by frontline supervisors to posters and digital signage and short reminders to monthly campaigns on key critical items around food safety. Companies are starting to embrace the power of this holistic approach to training, leveraging new and emerging technology and tools to optimize employee behaviors. 3. Most people are not making the connection between training effectiveness and the ROI, the return on the investment. They think they don’t have the time to make improvements—yet, if they carved out time routinely to assess and evaluate best training practices to make training more effective and implemented these new and proven strategies, then all of a sudden the time and resource question becomes less of an issue because now you’re delivering on things like a decrease in food quality issues or reducing [employees] turnover, decreased downtime, reduced GMP non compliances, etc. It takes some time to establish those related training metrics, but once you’ve done that and have ensured that your holistic training program is current and behaviors are being exhibited consistently, you start to have fewer operational issues, enhanced customer satisfaction and motivated, engaged employees.